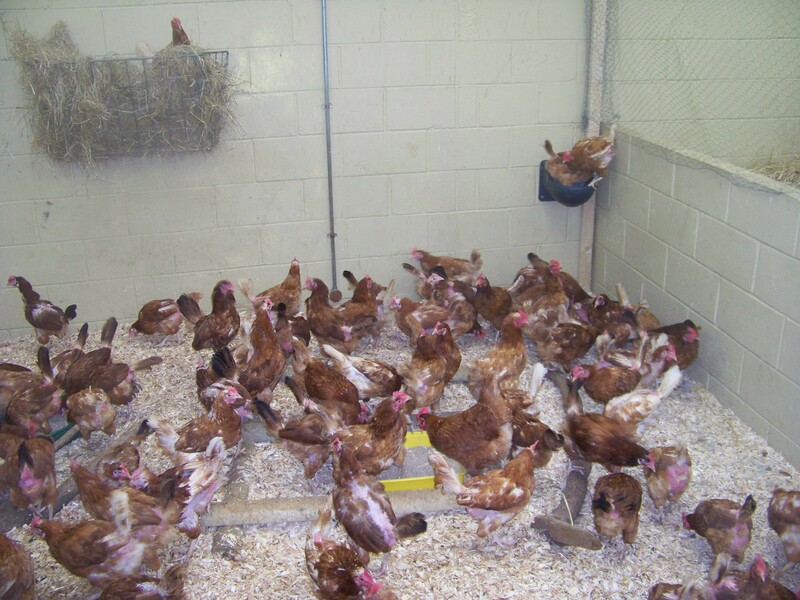 Saturday 9th February, the second rehoming of Cornwall Fresh Start for Hens, saw 228 beautiful little girls waved off to their new homes. As we turned the lights off, congratulating ourselves on a job well done, someone commented that when we first came in, weren’t there four donkeys in the neighbouring stable? With a sinking feeling, we all noted that there were now only two donkeys in the stable and an all-telling gap in the fence. Cue an hour long hunt (in the dark over 200 acres) for the two errant donkeys. They were found munching the grass in a nearby field but had the scent of freedom in their nostrils and did not want to go back to bed. Eventually, and with the help of buckets of feed, they were lured back to their stable. It was a scene reminiscent of the Great Escape, as the unsuccessful escapees were returned to their fellow inmates. 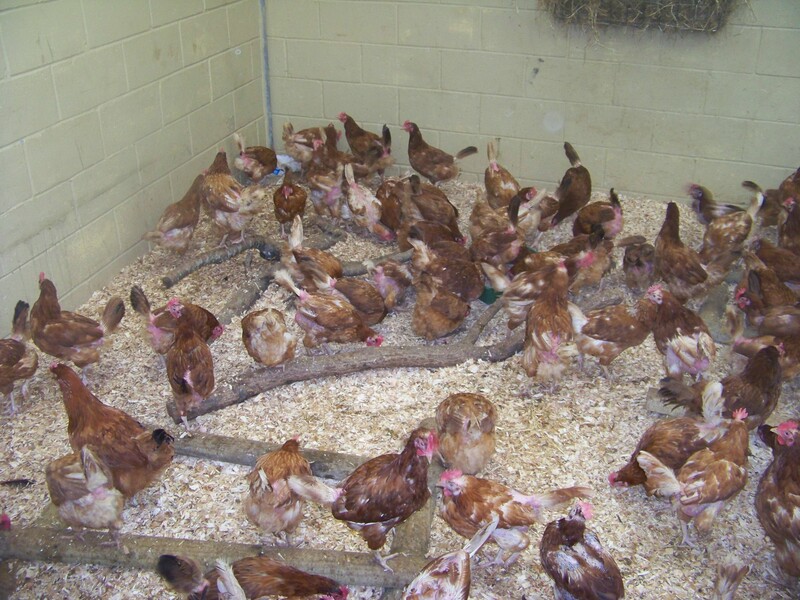 Next morning, we expected to find 228 little hens in their stable, contained by the netting we had erected on top of the walls to stop any escapologists. What we found were about 4 hens in the stable and the other 224 on the walls, in the rafters, in with the donkeys, in with the goats and over the main wall in the cattle shed. So another ‘interesting’ hour was spent retrieving the little monkeys and getting them back into their stable and all ready to greet their wonderful new owners. So if any rehomers wondered why the team looked a little frazzled that morning, there were 230 (228 hens and 2 donkeys) reasons why!! Being good…mostly. 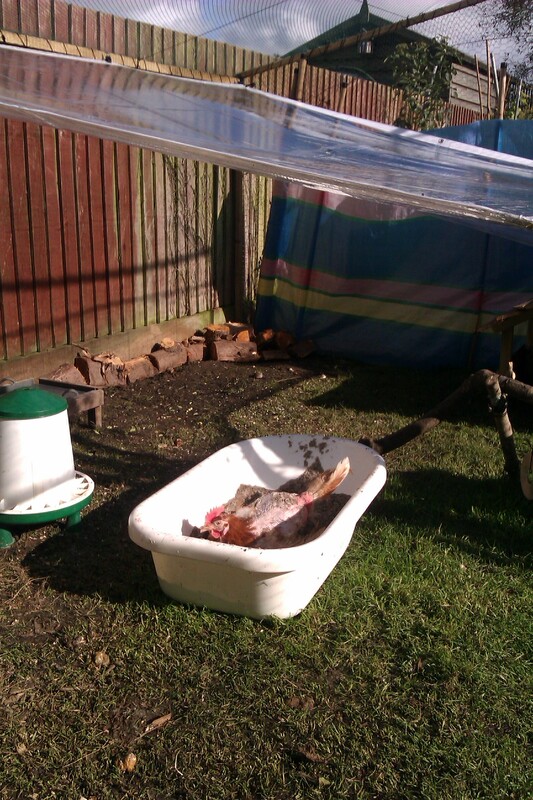 Look at the two in the water trough, not to mention Hayrack Hen! But on a serious note, 228 hens is a very small drop in the ocean of the thousands of commercial hens that are sent to slaughter each year. Saving 228 hens will not change the world. 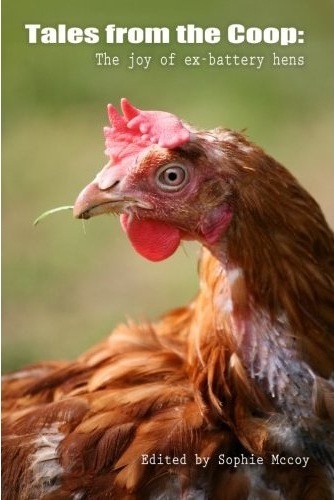 But for those 228 hens, their world has been changed. Their lives have been saved and they have the chance of a new life. 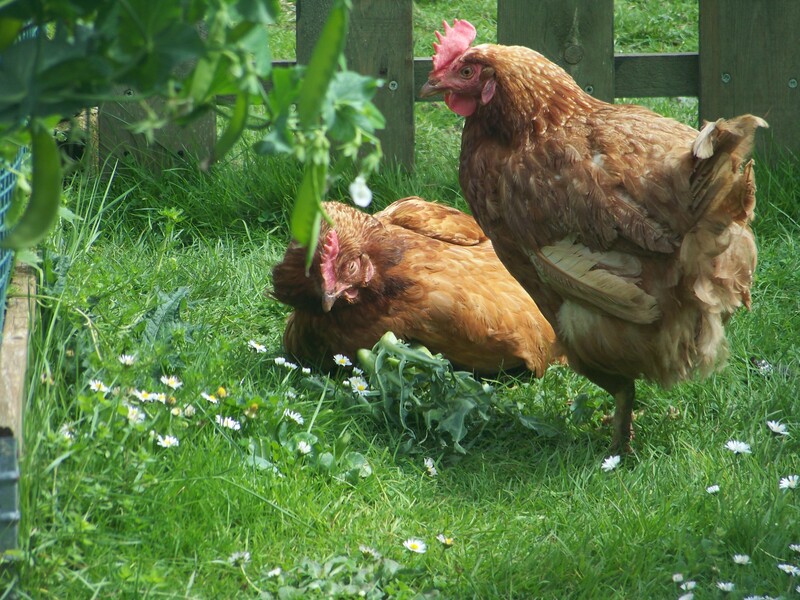 The little hen in the hayrack is typical of the girls we rehome. 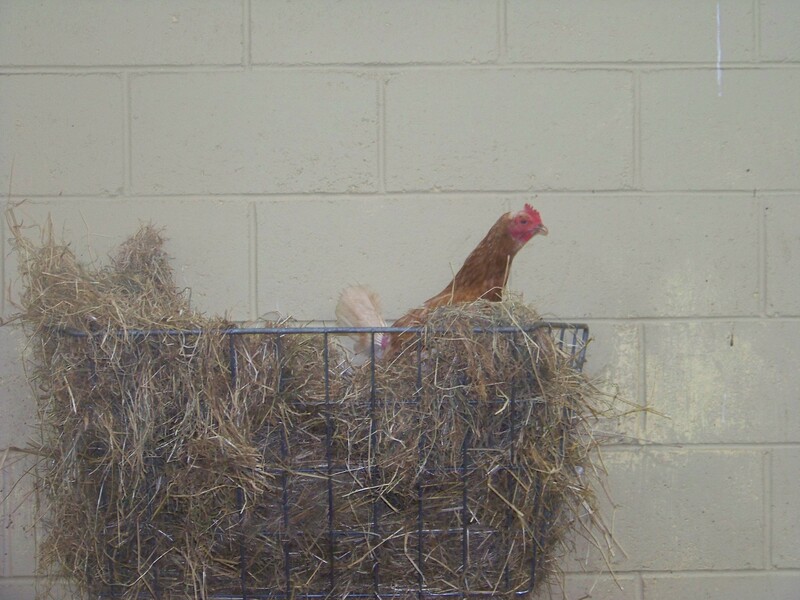 Discovering a rack full of hay for the first time in her life, she nestled down and laid her egg in glorious, luxurious comfort. She then decided to announce this fact very proudly (and loudly) to the world! Was there ever a happier hen? Was there ever a happier hen? So thank you from me and the 228 hens to all the wonderful people who found room in their homes and their hearts for some of these little girls. You are all, quite literally, lifesavers. Thank you to all the amazing people that helped me; on the day and before and after the event. None of it could have happened without you and I am forever grateful. You are all stars. We lost our darling girl Gina this morning, she passed away peacefully in my arms. She had only enjoyed two months as a free girl and that was nowhere near enough. But in her short time she knew love and kindness, sunshine and dustbaths and when she did fly away to the Rainbow Bridge, she did it surrounded by love. 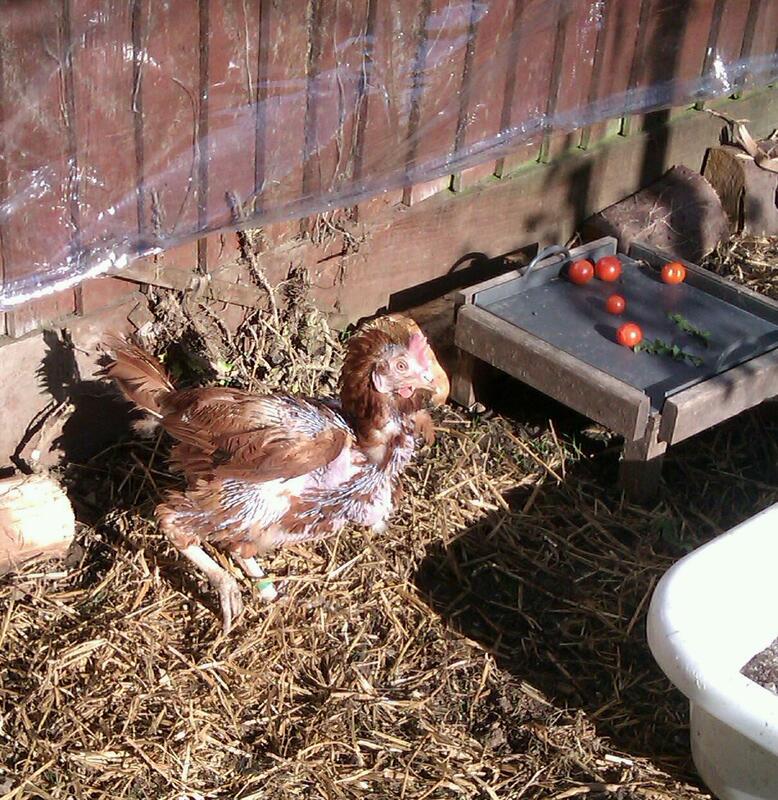 On Rescue Day in October, little Gina was spotted standing alone, head and wings down; the picture of a poorlie girl. I assumed the rehoming had been too much for her so we whisked her up, tucked her in a hay-lined box and syringed sugar water into her every two hours. 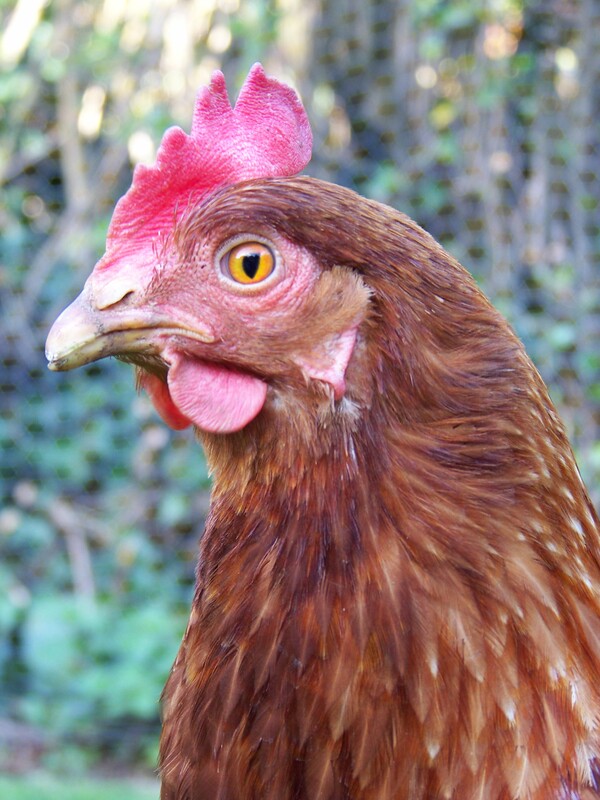 That evening we placed a warm hot water bottle under her in the hope that she would make it through the night and just in case she didn’t we named her Gina – every hen deserves the dignity of a name. But survive she did!! And after three days of intensive care, hourly syringe feeding and as much tlc as a girl can have, little Miss Gina deemed herself fit enough to join her sisters, Greta Garbo and Grace Kelly, who were already enjoying the free range life. Gina in her five star intensive care unit!! My initial fears that Gina would be picked on were unfounded, in fact it was Gina who told Greta and Grace who was boss and took her place at the top of the pecking order. She was always a hungry girl and first out of the coop in the morning for her breakfast. 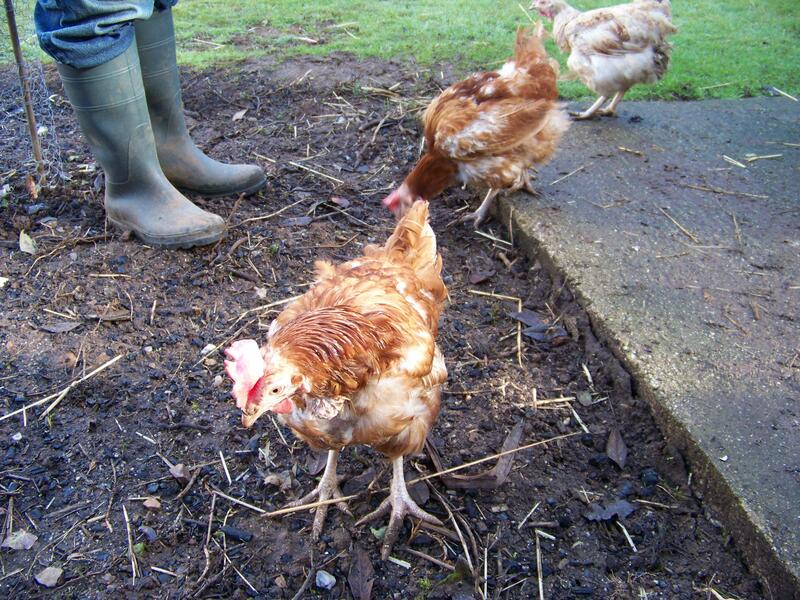 She particularly loved egg and as luck would have it an egg was always atop their morning bowl of layers mash! She enjoyed the Cornish autumn sunshine, finding her favourite spot in the garden and splaying her sparse wing feathers in its glorious warmth. She found she rather liked worms and quickly realised that Gary with spade in hand equalled a worm fest!! 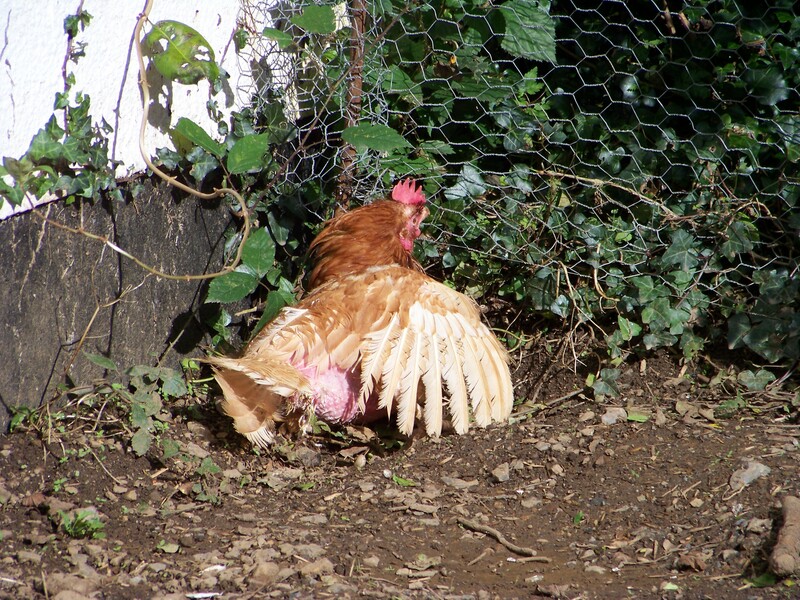 She also discovered the joy of a dustbath, often ousting the other two so she could enjoy her dusty ablutions in peace!! She discovered that chasing blackbirds out of the garden was fabulous fun! Although not as much fun as chasing kittins around the garden! She was a tiny dit was our Gina, but what she lacked in size she made up for in spirit!! But tiny she was and there was obviously an underlying problem. Despite her eating for England, she still weighed next to nothing and her bad days were occurring with increased frequency. I could find nothing wrong, nor could Uncle Jason, and we tried every treatment we could think of. Some she responded to briefly, others made no difference. Try as we might our girl was fading. 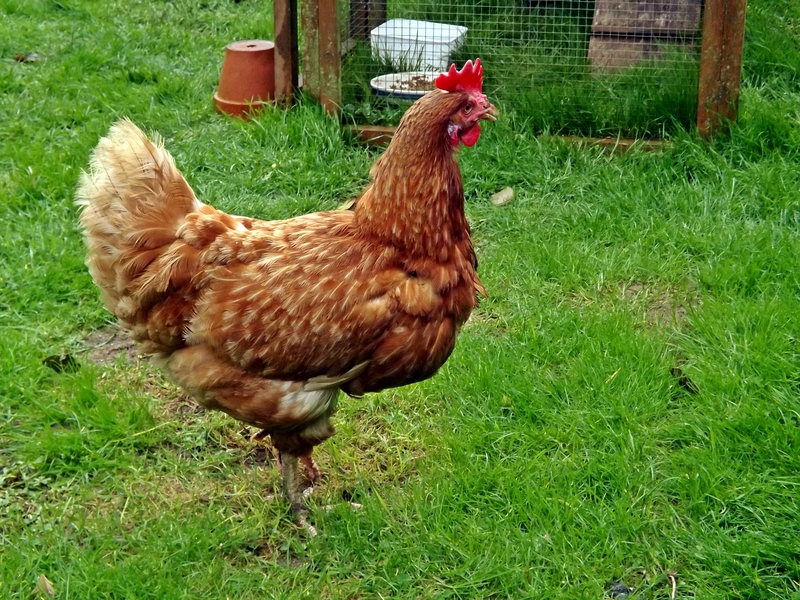 She was still pecking around the garden, taking dustbaths and eating well but her times spent standing and dozing were become longer and more frequent. 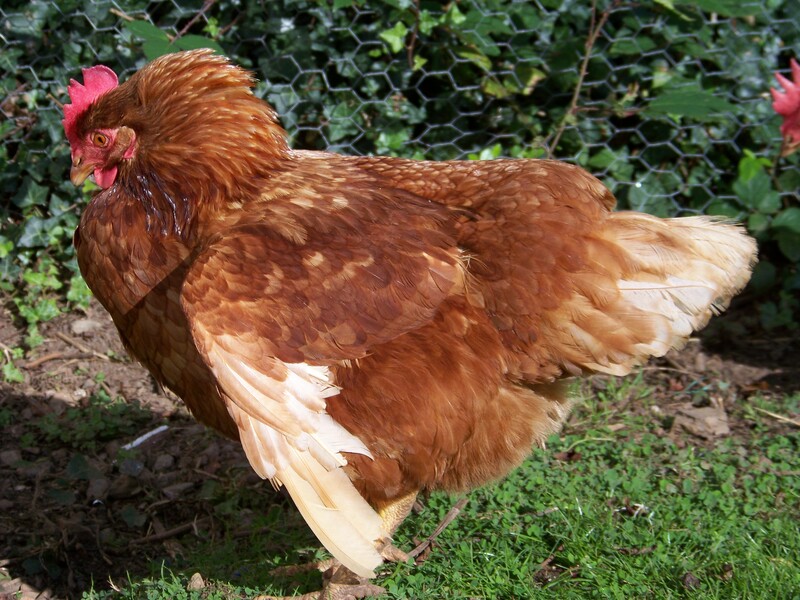 She was however still always first out of the coop in the morning for her delicious egg. As it was Sunday, Gary had gone to open the coops and kindly let me lie in. However the G girls’ coop is below our bedroom window (they had not merged with the big girls as Gina’s frailty made it impossible) and I heard Grace Kelly making an awful noise, she was terribly upset. 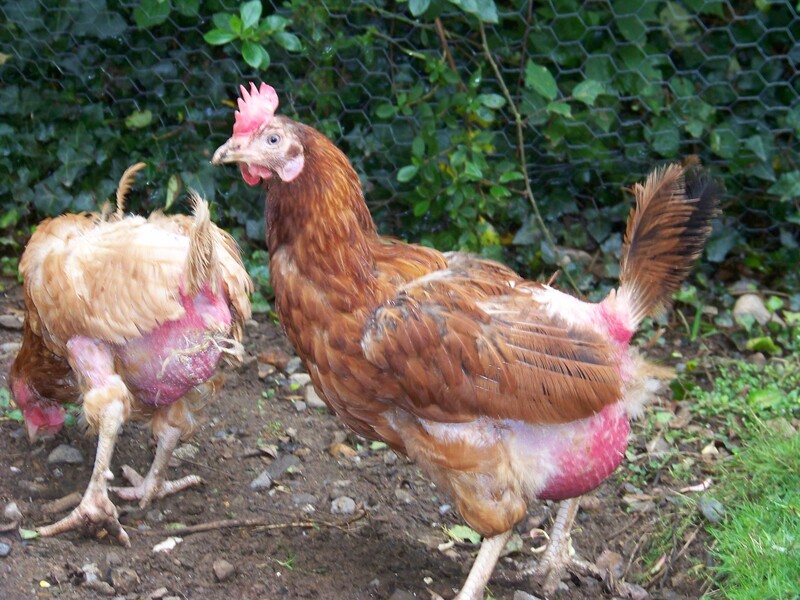 Chickens feel great empathy for their sisters – these two girls were so very distressed by Gina’s condition. Knowing Grace’s cries didn’t bode well I came down to find a very tearful Gary with a dying Gina in his arms. We wrapped her up in a soft towel and I sat with her on my lap as she passed away. We stroked her and told her she was a good chicken and a loved chicken and I hope the last thing she heard and felt as she flew away to the Rainbow Bridge was that love. It breaks my heart that I have failed her, that I couldn’t find what ailed her and I couldn’t make her better. Gina darling I am so so sorry your time with us was cut short and I wish from the bottom of my heart that you could have enjoyed the long retirement you so deserved. I was concerned that our resident diva and global superstar, Miss Effie Chicken, would have her perfectly formed beak put out of joint by the arrival of our new G girls but as luck would have it, Effie has discovered she is not only featuring in Your Chickens AGAIN this month but also has a whole chapter of a new book just about her. In a magnificent double spread photo which forms part of an article on ex-batts, Effie is seen luxuriously sunbathing, her little neck at its own special jaunty angle. Miss Basket is standing over her and (don’t tell Effie) but she too looks magnificent. So often Melanie to Effie’s Scarlet O’Hara, it is good to see Miss Basket take centre stage. 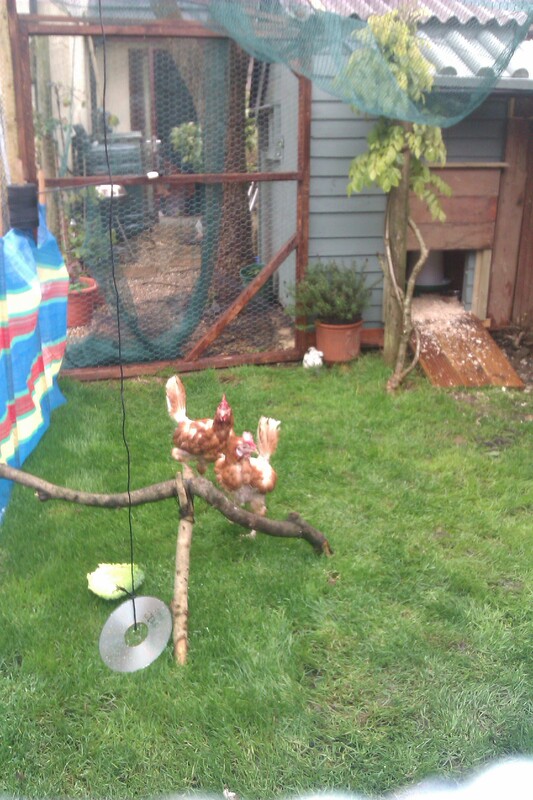 Effie and Miss Basket in the now infamous Your Chickens photo!! 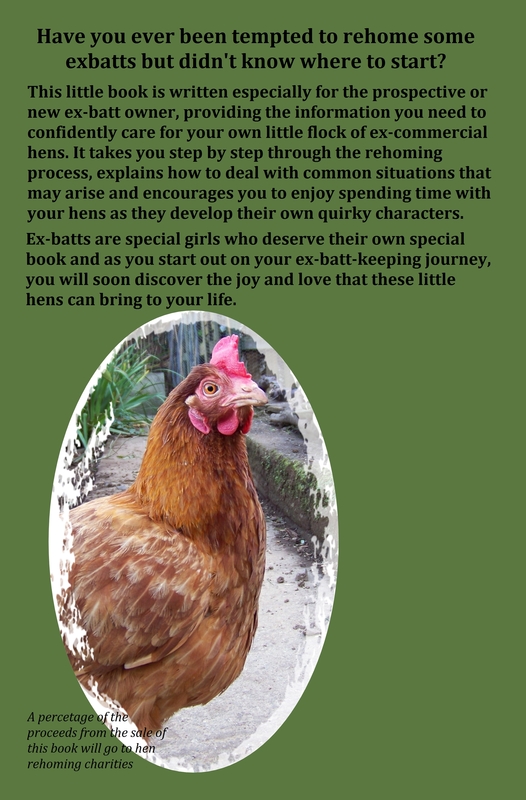 And yes Effie has a whole chapter of a new book, Tales from the Coop, dedicated to her story. 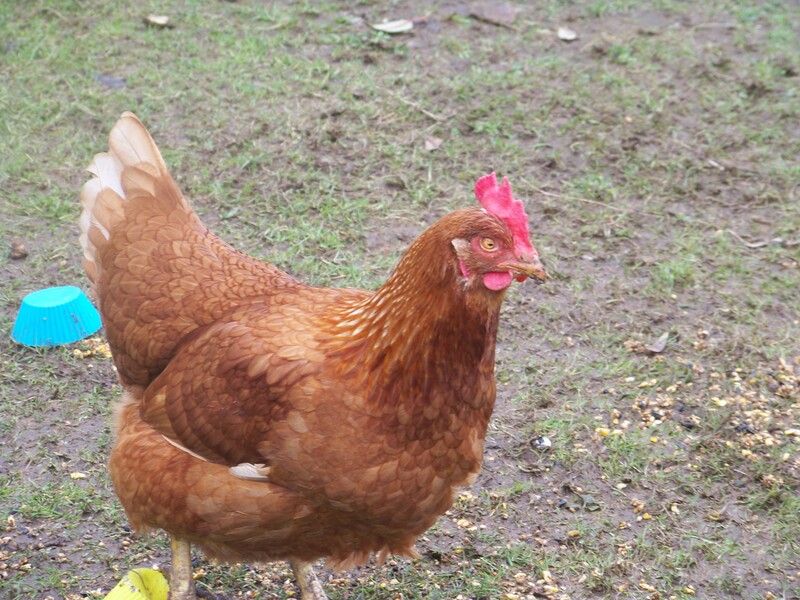 Also featuring in other chapters are Miss Bunty Goodchicken and the rather splendid Miss Audrey Chicken. Edited by the inspirational Sophie Mccoy, Tales from the Coop has a collection of stories, poems, photos and more by many wonderful and reassuringly barmy ex-batt owners. 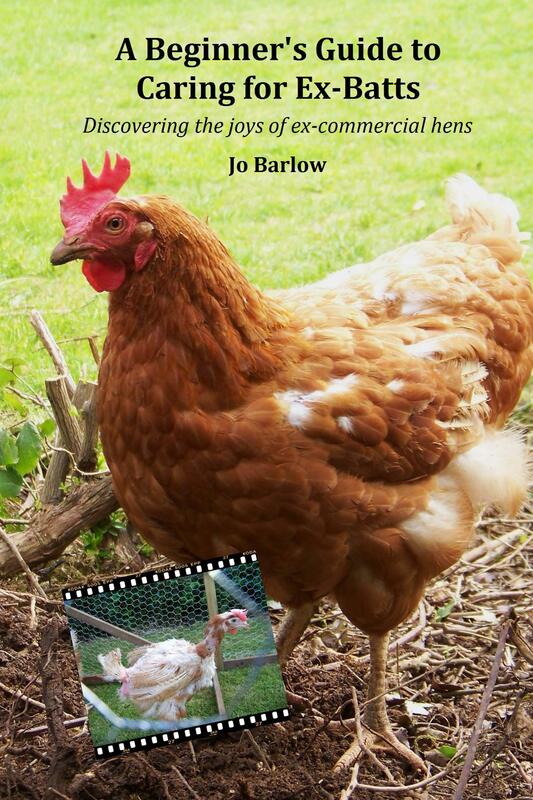 All proceeds of the book go to hen rehoming charities so, if you need a stocking filler, or indeed just something to make you smile, please buy this little book. Tales from the Coop; a fabulous read!! So what tales are there this week from my little coops? My G girls are blossoming! Little Gina is making up for lost time and consequently eating like a horse. Whilst still very bald she has discovered the delights of sunbathing and has taken up residence in a particularly sunny spot in the garden. 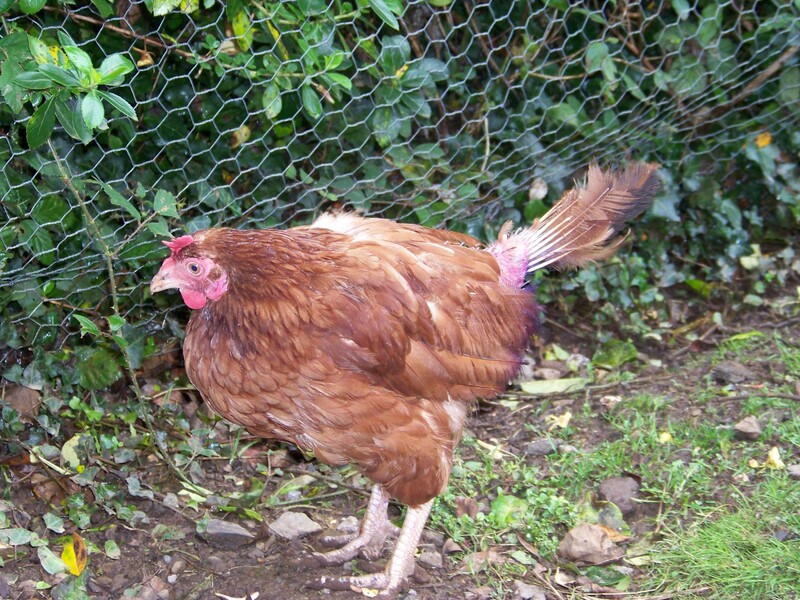 She has settled in very well with Grace Kelly and Greta Garbo – all girls pootling round the garden together by day and sleeping in a hen pyramid each night. Gina has discovered a penchant for delicious quills though – not her own I might add – so Grace and Greta are currently sporting this season’s must have look – purple sprayed backs! Grace’s prolapse has disappeared and she is performing her ‘natural functions’ without anything making an unwanted reappearance. She is quite a scared little girl though – she is terrified of me still. So to spray her quills purple I had to wait until everyone was asleep, open the coop slowly, take aim and spray. 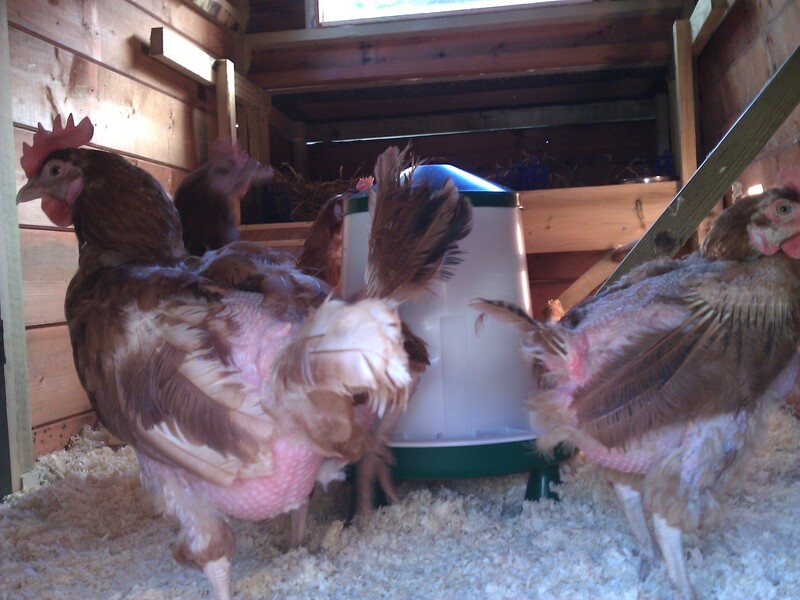 Needless to say much of the coop interior is now purple but luckily so are the girls’ backs! Greta Garbo’s swollen abdomen is reducing significantly. I am taking her to the vets soon but as she is still very flighty I do not want to stress her unnecessarily. 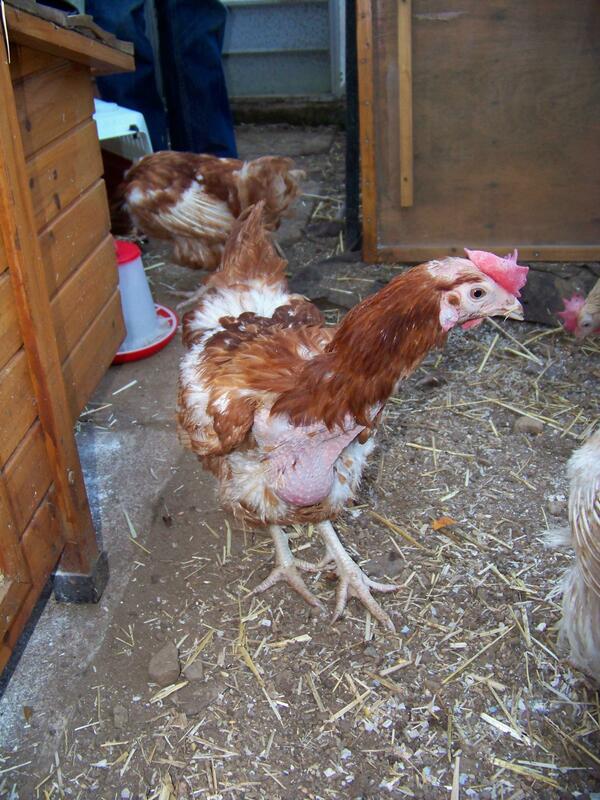 She is the most confident of the three girls though – always first out of the coop, always first to do everything! I am delighted with the progress all three are making. 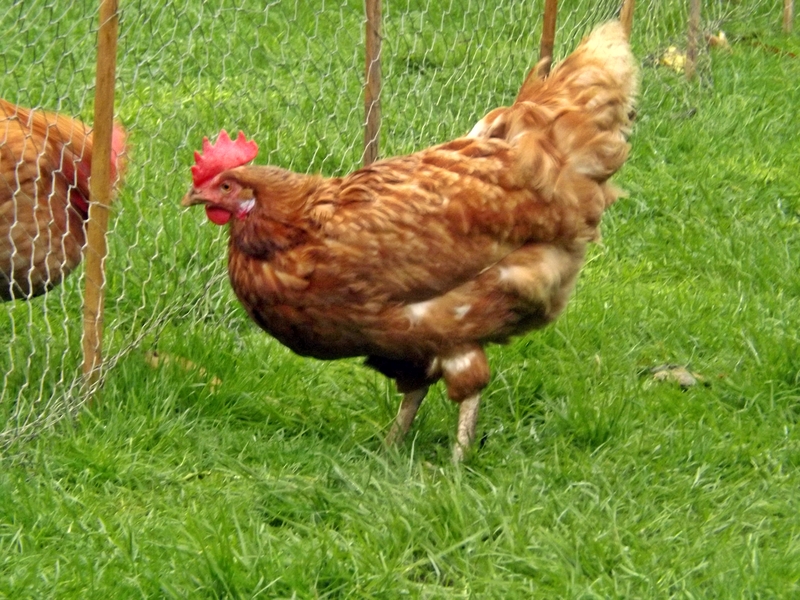 Of my ten girls, Gina, Greta and Grace are too poorly to lay, Effie has had an implant and doesn’t ‘do’ eggs anymore, Bunty Goodchicken has egg peritonitis and no longer lays, Eliza and Bella are moulting, Miss Basket lays each day but eats her egg, Clara lays intermittently and Flavia lays every day. So 1 egg a day then!! I may joke about it but I would rather none of my girls laid and just had a rest. 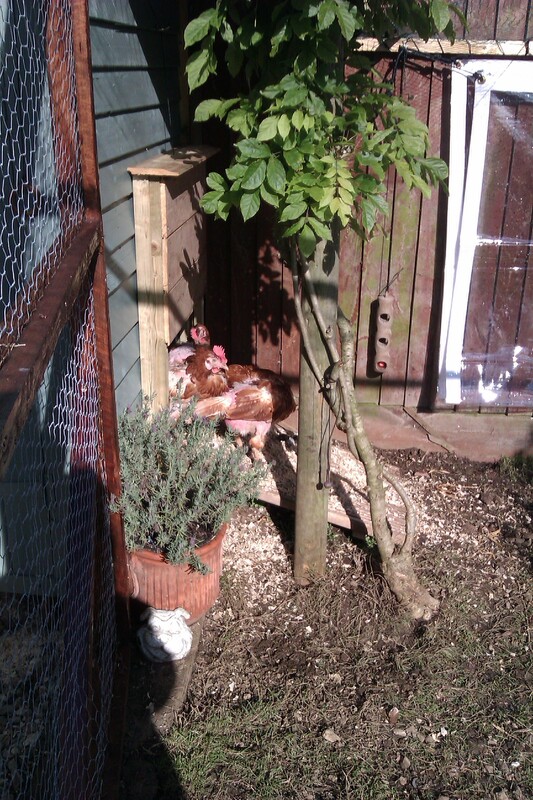 They have earned it and I want them to live out their retirement in luxury and not be burdened by egg laying. So I sneak down to the animal care unit at work and buy some of their hens’ eggs. Shhh…don’t tell anyone!